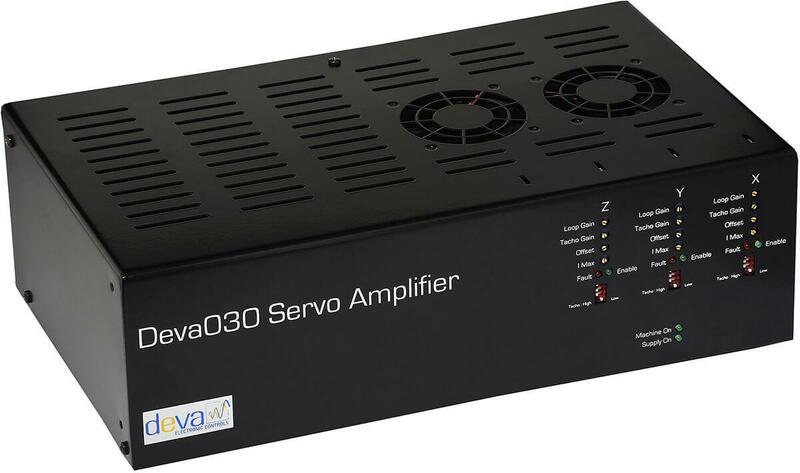 The Deva 030 is a complete servo solution in a single enclosure. It comprises of 3 or 4 servo amplifiers, motor power supply, machine logic supply (24Vdc) and machine control logic with pendant connector. 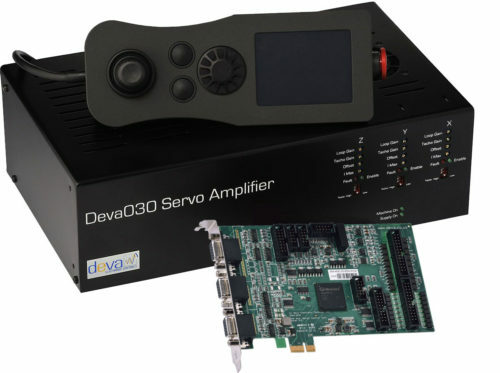 With direct connections to the Deva 004 range of motion control cards the Deva 030 is simple to install and supports brushed DC motors. Simple no-nonsense potentiometer based tuning, further eases installation. The Deva 030 interfaces directly to the Deva 004 IO1 and IO2 via two straight through connection cables. The motor signals are fed directly to the servo amplifiers whilst the remaining discrete IO are terminated on 2 part screw terminals on the back of the Deva 030. This allows convenient connection to the machine.